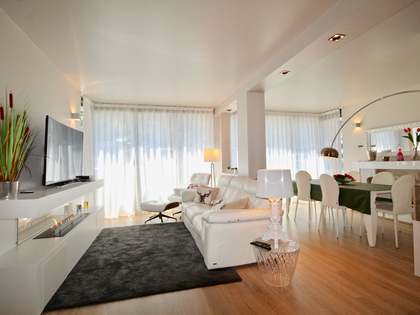 Fully renovated, modern apartment for sale in the centre of Escaldes-Engordany. The apartment has a bright, 41m² living area surrounded by an L shaped terrace with views over the main street and mountains in the distance. The kitchen is modern, fully equipped and furnished. This apartment has a total of 4 bedrooms of which 2 are exterior facing and 2 interior. Three of the bedrooms have their own full bathroom, except for one which has just a shower. The remaining bedroom has a toilet. 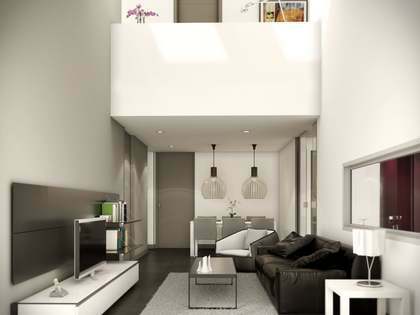 A utility area and a small room currently used as a storage area complete the apartment. With double-glazed windows the apartment is well sound-proofed. It is sold fully furnished and there are 2 parking spaces in an annexe just a few metres away. 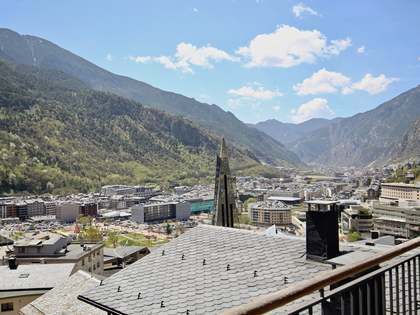 The ideal apartment to enjoy day to day life in Andorra, perfect for families given its location close to services and schools. 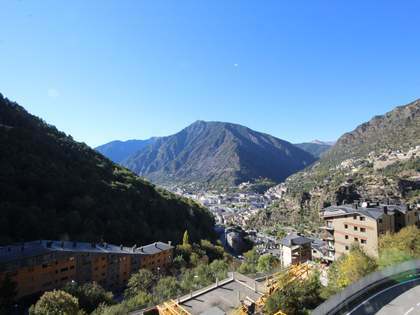 Apartment in an excellent location, perfect for enjoying day to day life in Andorra. In the centre of the Escaldes-Engordany commercial area, there is a wide range of services available. 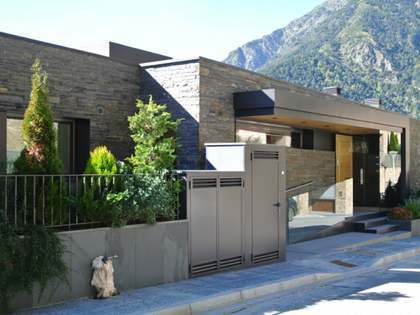 It is also close to the Caldea thermal spa and the Illa Carlemany commercial centre.